Lowe’s home improvement store had its beginnings in North Carolina in 1946. It began as a small hardware store but is now one of the largest retailers in the U.S. and in the world. Today, Lowe’s helps homeowners and professionals purchase what they need for all projects. Carrying a Lowe’s credit card is great for all those DIY supplies or construction supplies needed often. 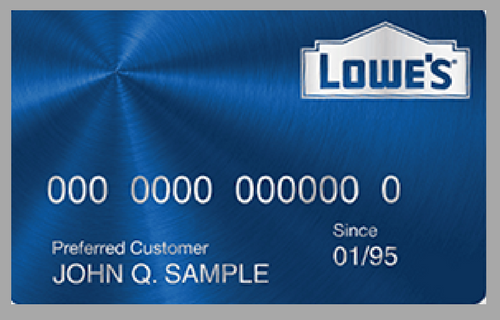 Lowe’s has two types of credit cards for a business and for consumers. The consumer credit card is called the Lowe’s Advantage Card. The Lowe’s Advantage Card gives shoppers a 5% discount with each purchase, which is better than trying to accumulate points or other specials. There are two types of financing options with different average percentage rates. One option is for making purchases that total under $300 with 6-month financing at 0% APR and the second financing option is for purchases over $3,000 with an 84-month financing at 5.99% APR but this option is only for in-store purchases. If accounts are paid-off in full each month there is no interest. If you can pay your Lowe’s monthly statement in full, then finance it. 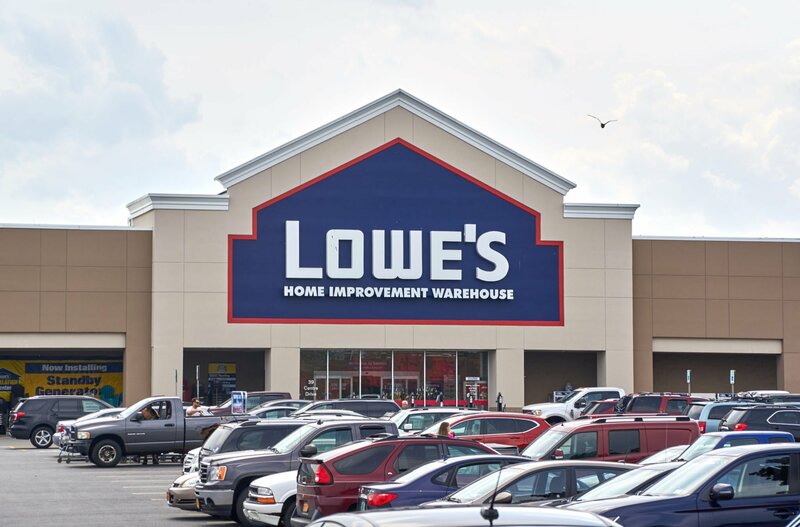 Lowe’s believes in financially working with their consumers and businesses. For example, when consumers finance their big project purchases over 3 years at an APR that is below 4% then consumers will pay less in interest than with other credit cards. With a Lowe’s credit card, there are no annual fees no matter how often or how little you use their card. The Business Account and the Accounts Receivable cards can only be used at Lowe’s, but the Lowe’s American Express card can be used at any location where an American Express card is accepted. Also, because your Lowe’s credit card carries the American Express name, you receive different benefits. The benefits include points available on Lowe’s purchases, all of which are redeemable for gas and different providers’ items. To learn how to apply for either of these cards, go to the store’s website or fill out an application within any Lowe’s home improvement store. Each business card carries different rewards and benefits. One specific requirement to apply for a credit card for your business is that you had a business for more than 3 years with good credit. Depending on which business card you apply to receive, certain ones carry a revolving balance and others require you to pay your full balance each month. Also, there are no annual fees. When you consider applying for a business card, it will involve detailed information, like business location, revenue, number of employees, tax or FEIN number and a business owner’s personal information. Each monthly statement provides information for secure management details. Each business credit card includes detailed transactions, the ability to track payments and expenditures, an invoice and purchase orders. Each Lowe’s business card statements show interest rates for bookkeeping purposes and statements can be downloaded to varied accounting software programs, like Quicken and Excel. How Can The Lowe’s Credit Card Help You Build And Manage Your Credit? The Lowe’s credit card is one of the best options for your home improvement needs and out will allow you to make better financial decisions at the same time. You might ask, “will this card damage my credit,” or you might need to look at what to watch out for when using a Lowe’s credit card. You must use a card specific to the store when you want the best service, and you will save money on every purchase when you learn how to make the most of using the Lowe’s credit card. Will This Card Damage My Credit? You cannot damage your credit using the Lowe’s card as long as it is paid. This is actually a good card to use to build your credit because it allows you to make small purchases for good interest rates. You can pay it off easily, and you will spend much less money on these cards because they provide you with the best incentives and deals on things that you need. “Will this card damage my credit,” is a silly assumption because it is the beginning of a brand new financial future for you or your family/business. You must learn how to make most of using the Lowe’s credit card by checking out the programs that they offer through the card. The card is very helpful because it allows you to save money on rentals, save money on special purchases, and avoid high interest rates on contractor purchases. You might learn how to make the most of using the Lowe’s credit card simply by making all your home improvement purchases in one place, or you could ask for the contractor card that gives you a better rate as you buy thousands of dollars of materials for your jobs. You can pay off this card quickly when your customers pay you, and you can go back to buy more things that are needed for the next job. You must check on what to watch out for when using a Lowe’s credit card, and the first thing is the interest rate on certain purchases. You might get a special rate on certain purchases because they are incentivized, or you could get a special rate on a rental. You might have room on the card for the deposit on your rentals, and you also need to see if you can use the card to put down deposits on massive purchases that are coming up. There are special events that are meant just for cardholders, and you might get a special delivery because you are a cardholder. Lowe’s could set up delivery to your work site, or they might open early just for you. Be sure that you have figured out what the best thing for your business is, and you will see a change once you have started using their card. How Does The Card Work For Homeowners? The homeowners that get this card can use the card as normal, but it allows them to get special interest rates on the things they need for their homes. There are a lot of people who will want to use these cards because they prefer to cut back on payments for a few months, and they could use the cards for rentals that are needed for home projects. You will see a change to the way that you are managing your money, and you can keep all these purchases on your card. That is much better for you overall, and it helps you keep track of the purchases that you have made. You might make a rental-purchase today, or you could call the company to have it set up for a later date. You could go into special events that are perfect for people like you, and you could walk away with discounted products from these events. You might bring the whole family because they offer food for the kids and games. You could take a class that teaches you how to do the things that are needed in your home, or you could meet with someone who will help you with your appliances or home renovation. They could help you design your kitchen, and they will explain how they would buy in the store to make these projects happen. You service from the logo on the card just like you would any other credit card, and you will be pleased to see that you can talk to this company about putting special purchases on this card. You might not have any projects coming up right now, and you could use that room on the card to pay for something else that is important to you or your family. You might also put emergency repairs on the card because the vendor that you use is buying all their materials from Lowe’s. This is a little thing that could be very beneficial because it is cheaper than paying list price for everything. You could get the Lowe’s credit card right now because you need help paying for your home improvement purchases. You could use the Lowe’s credit card because you want to save money, and you will find that you could use the card for things like rentals and big contractor purchases. The Lowe’s credit card will get you into a class that helps you do your own work, or you could use the card to come to speak to a designer who will help you with an upcoming renovation.